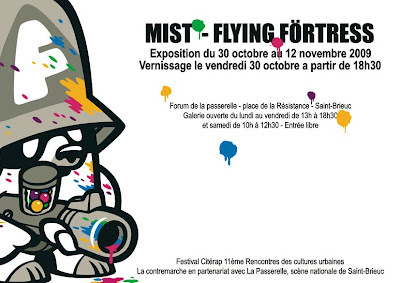 Looking forward to go to Saint Brieuc and battle with my friend MIST again like we did in Paris a while ago. The exhibition will be part of the Cite Rap Festival (Thanx to POCH and Mathieu!). Opening on October 30th. On my travel to Rennes / Saint Briuec i passed by the Atlantik shore and hit up old bunkers of the German "Atlantikwall" from WWII. But this time it's about "Deutsch-Französische Freundschaft"! 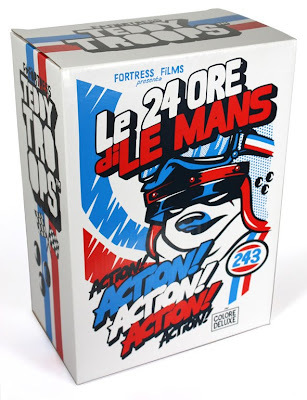 The new 10" LE MANS Teddy Trooper comes in this packaging. Go! 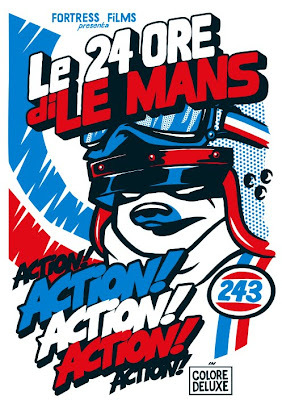 Finally the shipment of the 10" LE MANS Teddy Trooper has arrived at RockawayBear.com! 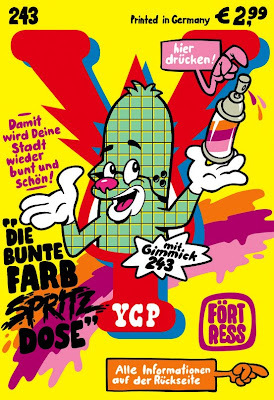 Das neue YCP Heft mit Gimmick Nr.243! Jetzt am Kiosk! 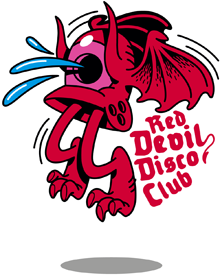 New Sticker design... A little tribute to my favourite kid's magazine "YPS" back in the days that always came along with some fancy cheap plastic toys. 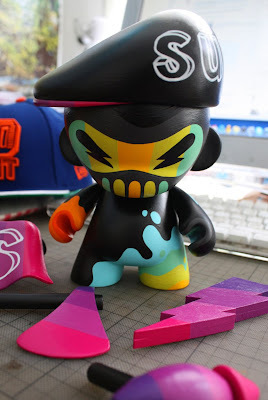 I made this custom Mummy Serge Süperb for my mate DJ Luvin Lou for his new club nights at Elli Disco in Munich. 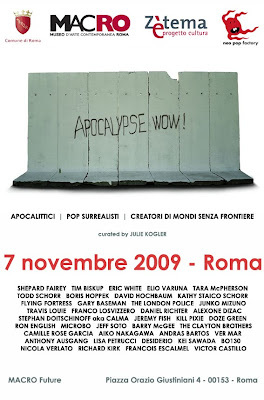 "Apocalypse Wow" is a group exhibition at the Museum Of Contemporary Art MacRo in Rome. Opening on November 7th 2009. Instead of a big wall i had to paint 15 electricity boxes all over the city of Lüneburg for the ARTotale project. So i decided to put them together as one piece. It turned out nicer than i expected it to be while i was painting the tiny boxes. Also a gib "Thank You!" to Kathrin for her help! 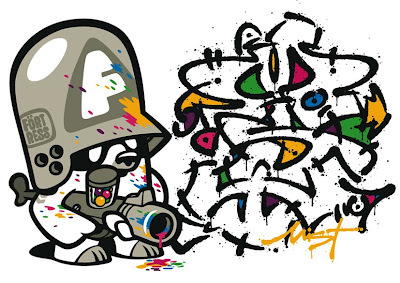 RockawayArt.com will be representing artworks from DaveTheChimp, SenorB, Steffen Heinicke and FlyingFörtress at the STROKE.01 Urban Art Fair in Munich from October 29 - October 31. I have been to Lüneburg for the ARTotale at the Leuphana University. Met a lot of all friends and made also new ones. Beside my regular project on electricity boxes all over the city (will post photos later) i was also able to sneak into this mural with Trica186 and Jayn. Thanx guys for being so patient while i was running between all the spots in the city! Another very nice production from last week. Together with BAROK who is another native from Munich now living here in Hamburg . The wall is part of the occupied Gängeviertel in the inner city. 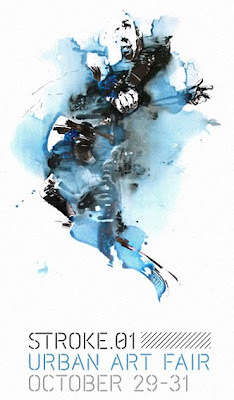 Check it out - there is always a lot new stuff going on like exhibitions and parties.